According to Mitsubishi's Chief Operating Officer, the Japanese brand has enough high-riding vehicles in its lineup to cater to its customers and now wants to think about the rest of the market that want a lower-riding model like the Lancer and the Mirage. As seen in an article by GoAuto, Mitsubishi's COO Trevor Mann, explained that they’re not saying ‘yes’ or ‘no’ to anything and have “some ideas in the pipeline”. “Obviously, as a brand, you need entry models, you need to ideally bring somebody into your brand and then walk through the brand as their lifestyle changes, be it financial or family-driven”, Mann said. The article then went on to say the Mirage's successor is now being worked on and will be likely on the Renault-Nissan-Mitsubishi AllianceCMF-B plaform that will underpin the upcoming Renault Clio, Captur and Nissan Juke. 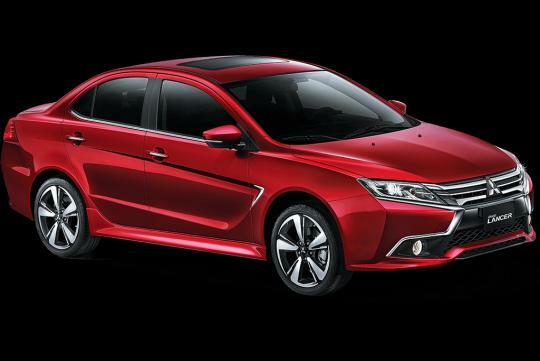 As for the Lancer which Singaporeans love, Mann said that it might be on the CMF-C platform which the current Scenic and Qashqai is using. Mitsubitshi need to bring back their EVO series. Mitsu is long gone with its car products! Seriously if they are going to offer the same kind of crap build quality and questionable layout and blatant cost cutting measures seen in the current Mirage and Attrage, I would rather they don't revive the Lancer namplate. The competition, esp from Korea, has raised the bar so high that I don't see how Mitsubishi can come anywhere near it at this point. Their current Eclipse Cross not only looks awful, build quality is refinement is poor too. And its considered a big car already. Anyway in JDM Mitsubishi is a rare sight also.